This tofu is to die for! Really? I’ve never heard anyone say that before. Has anyone ever heard that in all the history of tofu-dom? I’ve heard of dishes with tofu in them that were to die for…. good pad thai comes to mind, but tofu in and of itself? It certainly caught my attention when a new friend told me that her sister’s recipe for baked tofu was to die for. When I told her I admired but was a bit dubious of this description of tofu, we decided that a great way to cement the friendship and get to know each other better was to have a cook-off to share and make some favorite recipes together. Little did we know that our friends were not only treating us to baked tofu but oysters (clearly not vegan, but oh so fabulous). Everyone rolled up their sleeves and got to work – with My Favorite Son making spiral potatoes, Mr. Bigg Sis shucking oysters with Mr. Host and me baking deadly tofu with Ms. Host. Luckily for all of us the soy-based suspense was limited as Ms. Host already had a batch of baked tofu in the oven so we didn’t have to wait long to try the dangerous dish. It was in fact delicious! Everyone in my family agreed and we happily munched slabs of tofu while preparing all of the other delicacies I mentioned above. What a lovely way to get to know people better. We had a great meal, lots of laughs and learned some new favorites. Ms. Host and I concluded that the generous amount of onion powder in the recipe is very important to the success of the baked tofu, or as she stated in her love for this tofu, “I think it’s the onion powder that makes this stuff like crack to me.” Another tofu statement for the books…. or the blog! To Die For Baked Tofu! Mix dry ingredients together with fork. Have melted margarine / butter in saucepan on stove over low heat. Drain tofu on a cotton cloth, & slice each block into 1/4 inch thick slices. Dip each piece of tofu in melted margarine/butter and remove it from saucepan with spatula. Place into breading mixture. Coat thoroughly in breading mixture. Watch it towards the end of the hour as it is much tastier when still just a little crispy on the outside and soft on the inside. Don’t overcook! Baked tofu keeps well in fridge, can be frozen and makes great sandwiches. Now the Sis Sisters usually just replace, substitute, re-vamp and redundify ;-), but none of the vegan cheeses we have tried with this concoction brought the same level of enthusiasm… until now that is. So I’m going to share one of those annoying recipes that gives you ingredients, but no amounts. I am usually not irritating…. Okay, Little Sis reads this and I could be very irritating when we were children…. Okay, maybe not just then…. can we just move on from the irritating thing now? I am giving you only ingredients because this is a “put out the ingredients and let each family member put together their own perfect combo” recipe. I know my 15 year old loves this concept, and only requires a reminder that there does need to be a reasonable amount of veggies in his bowl. I love it because it is a little easier for both clean up and preparation. 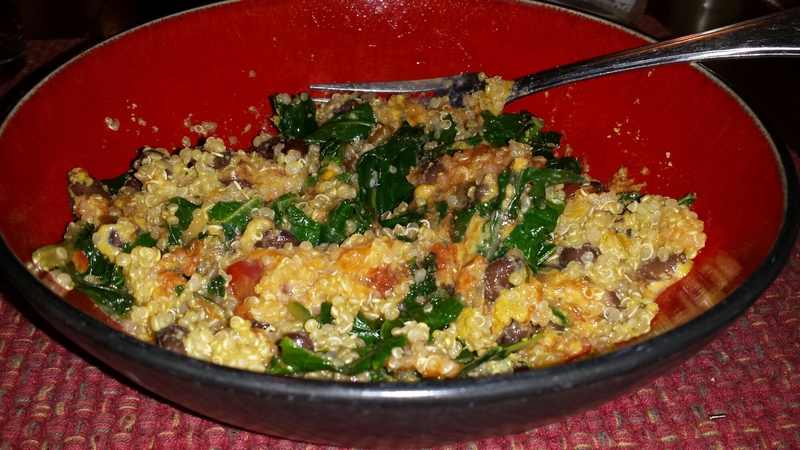 At any rate, Quinoa takes about 15 minutes to cook once the water boils, and in that time the rest of the ingredients were prepared and then – oh yum! Blitz these ingredients in the blender – don’t go too long or you will create seed butter! Heat the beans up a little so they don’t cool everything else down. 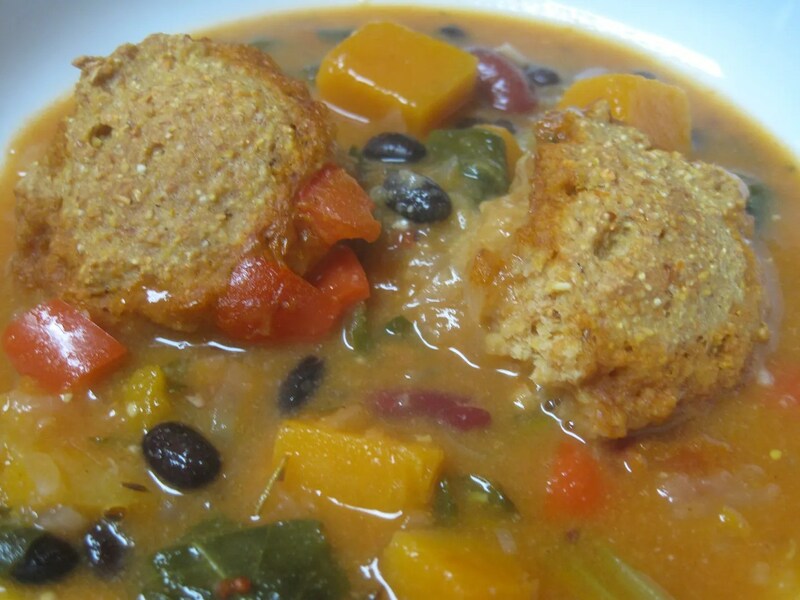 We will be having this again… So easy and perfect on a busy night when you don’t want to spend much time cooking. Well… I’m sorry I didn’t post last week. I suppose I could have come up with some fabulous “Here’s What to Cook When You Can’t Leave Your Neighborhood Post,” but honestly I just wasn’t up to being that positive about it. For those of you who don’t know what I’m talking about, I live in Mid-Maryland about 5 minutes from the “eye” of where Winter Storm Jonas landed just over a week ago. What this meant for my little town is that we got 3 feet of snow in in about 36 hours. That’s about 32 inches more than a “usual” snow dump for this area. Needless to say, systems pretty much came to a complete halt. If you didn’t have a snow mobile or snow shoes, you were pretty much confined to the house or your yard to play in the snow. There are a lot of good things about that kind of confinement, and I think there’s a wellness post coming on that… but logistically it’s not so great. The other part of it that wasn’t so great for me personally is that the storm made it impossible for Mr. Little Sis to return from a class he was attending in Chicago. So, there I was. Stuck in my house, with my twins, and my very large dog, with 3 feet of snow all around all around, 3 feet of snow all around. Now mind you, I have no objection to physical work. I actually kind of dig physical work (get it, dig, har har) – gardening, landscaping, even snow removal… for awhile. The kids and I figure that when it was all said and done I probably spent about 8-10 hours moving snow, mostly by myself, despite well intended efforts of Little Man. I took breaks, I didn’t venture down heart attack way… but it was coming down so fast and there was SO much that it was really hard to manage. My hands are just now recovering and everyone I’ve spoken to has some twitch, twinge, ouch from snow removal. All of that would still have been difficult, but what was really the kicker, was coming inside from that scene and realizing I would still have to make a meal for the kids. I’ll be honest. I don’t even remember what we ate, except that I know we had some lentil casserole using the lentils Bigg Sis kindly supplied when I couldn’t bear to go the store with the crazed pre-storm panic filled people just for lentils. So now the big snow induced drama is over. All said and done, it really was kind of a nice week (even though we missed Mr. Little Sis terribly). Aside from the dreadful amount of physical labor, there is something awfully restful about NOT being able to go anywhere. Now we can, and we have plenty of places to go… and not quite so much delicious reading and tea drinking to do. But we’ll still eat. Here’s what we’re having. So there it is folks, a whole lot of eating amidst the melting piles of snow… Hope it’s sunny where you are! It does seem to happen every year. After the holiday season the bar has been reset and my sugar problem has started creeping back in on me. It never gets back to the days of eating multiple fireballs each day and spending my entire allowance on candy, but it is a slippery slope my friends and I am thinking that like the Grinch, my little dog Maxx needs to grab the back of my shirt and pull hard. Little Sis and I did a whole series called Sugar Busting chronicling and encouraging our journey (and perhaps yours) to reduce sugar, but it appears to be a life long battle with hills and valleys / highs and lows / fruit and pixie stix…. Gag, but I did love pixie stix back in the day. As we preach in Baby Steps to Better Health: A Guided Journey to Healthier Eating, I am trying to cut back and replace that chocolate (and okay some baked goods as well!!) with something healthier that fits the bill. If I totally deny that sweet craving I’m likely to go back to the chocolate with a vengeance! As for cutting back, I have stopped taking dark chocolate in my lunch bag….. too easy to eat too much of it. And who says I need a piece of chocolate to get through the afternoon, anyway? I don’t. After all, the best reward and motivator is to treat my body with respect and reward myself with health. A little bit doesn’t hurt, but I know when I am slipping down the slope. And when I notice or have trouble remembering the real rewards, I go back to sugar busting and baby stepping. Eventually I am back on track. Here’s a photo of the apple…. good luck to you if you have a sugar monkey on your back. It is possible to let the monkey get back to the trees, so hang in there. I know, I know. I missed a week. All this talk about how you keeping me accountable is such a lifesaver just didn’t cut it last week. Mr. Little Sis was gone for the week and all of my various activities (work, school, music practice and performance) seem to be ramping up at the exact same moment (how does that always happen that way). I just let it go. I let the meal plan go. Mostly because when I got to Sunday night, when I should really start writing the post and working on the plan, I just couldn’t bear to have another required item. So I let it go. 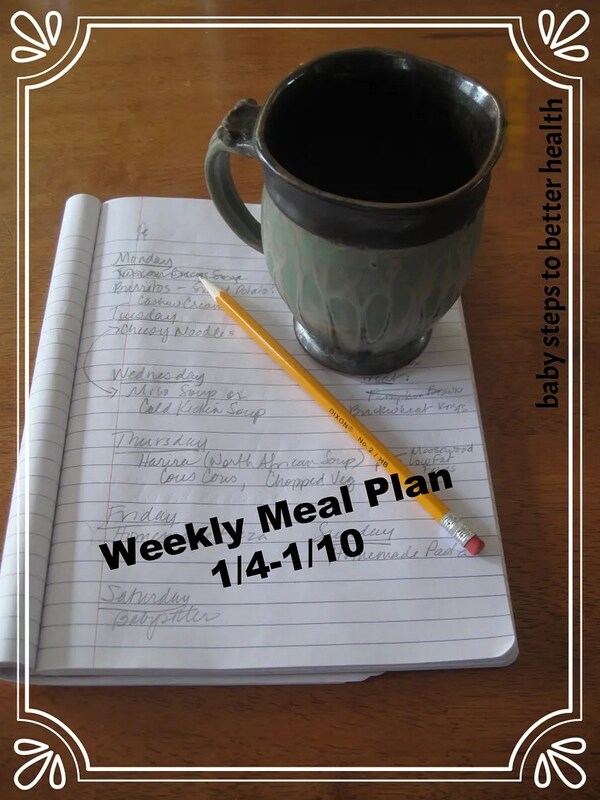 I’m hoping our significant archive of meal plans (click on weekly meal plans in the sidebar) meant nobody was left in the lurch. While not having that plan did require a little more fancy footwork than usual in the kitchen, I really just needed to take one thing off the list. Now, I’ve got to add that thing back to the list so as to avoid continuance of said fancy footwork. Ain’t nobody got time to be that fancy two weeks in a row. Don’t know how it is where you are, but it’s brutally cold here, so I’m all over the comfort food this week, particularly as we get toward the end of the week when they’re saying it might snow, just a little (like for two days). Warm and comforting coming up. Lunchbox Treats: Believe it or not we are still working through some slightly stale cookies from the holidays over here. Adult Lunches: Since it’s just me this week, I’ll be humming it up with a lot of hummus and salads. So that ought to get us all ready for whatever this storm is going to turn out to be. A few inches, a couple of feet. That’s the range we’re looking at. Hope you get whatever precipitation you’re looking for and that while the winds may blow, your foundation will ne’er be shaken. Eat well, be well friends. We Sis Sisters can’t seem to leave well enough alone. Little Sis is an inveterate messer-arounder of recipes and I frequently stray from the written path myself. But I recently had a hankering for a straight from the recipe veggie burger and I couldn’t decide between Little Sis’ incredible Nutshroom Burgers and the Broccoli Meatballs that made the year end list…. which I have never tried. Shame on me for never trying Broccoli Meatballs. I thought I could burgify those balls, which hardly counts as recipe tampering, but couldn’t get the nutshroom burger taste out of my mind. AND I had 2 heads of broccoli because Mr. Bigg Sis and I both acquired broccoli a day apart without revealing the haul…. (poor communication plagues modern hunter gatherers it would seem). So of course you see where this is heading…. Recipe meddling and a ‘Get your chocolate out of my peanut butter’ moment had arrived…. The result I was hoping would be a new combination even be better than the originals. Well at first I thought, no – what a flop! Literally. These burgers are too wet. I couldn’t flip or flop them tidily after baking for 30 minutes. But having poured some expensive ingredients and invested in actually eating dinner that night I decided patience was in order. So I reached way down deep to find the little tiny pieces of patience that exist somewhere in the rather un-necessary organs like my appendix or gall bladder and managed to let these babies cook another 20 minutes or so. The result? 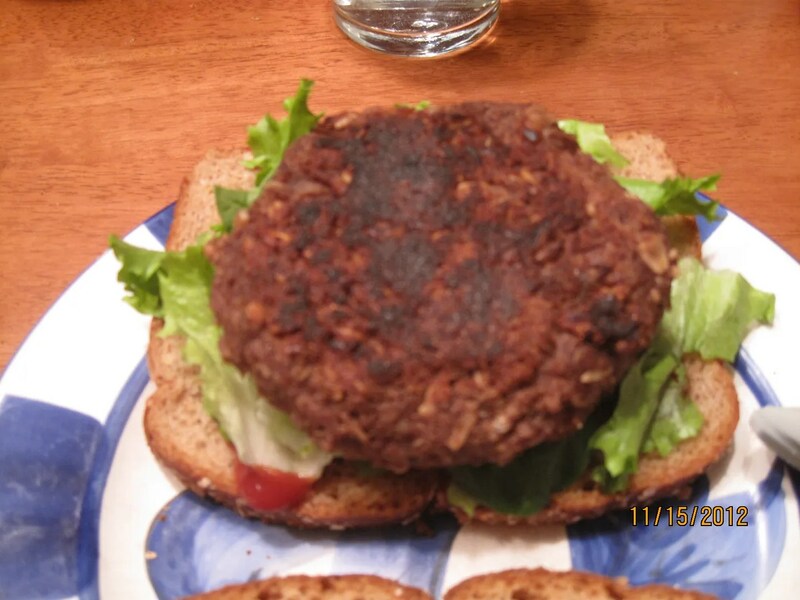 A tougher outside that allowed for flipping (and another 10 minutes of baking) and a tender inside that remained tender for the leftover burger taken to work 2 days later on a whole grain bun. Wow these things rock and pack a powerhouse of nutrition. Truly tasty and packed with broccoli. Nothing wrong with that. One could probably speed up the cooking by adding some oats or something, but I don’t think I will mess with this concoction. I will just make them on a weekend when there is lots of time for them to sit in the oven….. and eat them all week! Saute onions and garlic in a little oil until translucent. Add mushrooms and any broccoli stem you might be using. Stir and saute another 5 minutes or so. Pulse the onion mixture in the food processor. This should be pretty mushy. Make sure you get all the scrapings from the pan. Bake until firm on both sides but still soft in the middle. Have people try it without telling them what it’s made of. Or take the Calvin approach (from Calvin & Hobbes) and tell your children it is monkey brains. Mine would be more interested in that than anything that contains broccoli. It’s been a big year for both of us. Moving, new jobs, new schooling, new music, new friends and finally, a new book in print. 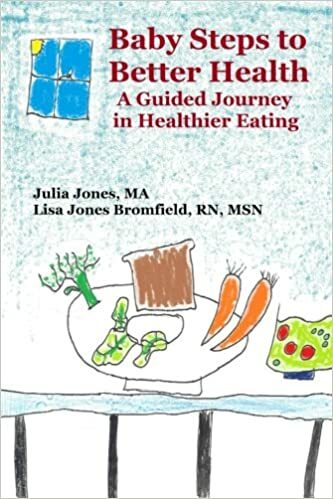 We are so very pleased and proud to have completed the print version of Baby Steps to Better Health: A Guided Journey in Healthier Eating . What a long and wild ride it has been and even though we now live 18 minutes apart (wahoo!) rather than 12 hours, we still really enjoy sharing with each other and with you. We hope your year has been satisfying, fulfilling, and challenging in all the right ways. Here’s what you’ve told us, by the sheer virtue of repeated clickery, you just couldn’t get enough of in 2015. A series of thoughts about self-care, at which I am still a sub par performer, but I am working at it. This piece lays out 3 goals, and I’ve actually made at least modest progress on 2. I feel pretty good about that. Need to give your own self-care some thought? Take a look. #9. We Did It! Our Book is Finally Ready! Here is the post introducing said book. We are so proud and relieved to have completed it and are so very honored that you are interested. Thank you. The real fun of looking back at old meal plans is remembering what was going on and seeing how clearly the food reflects that. 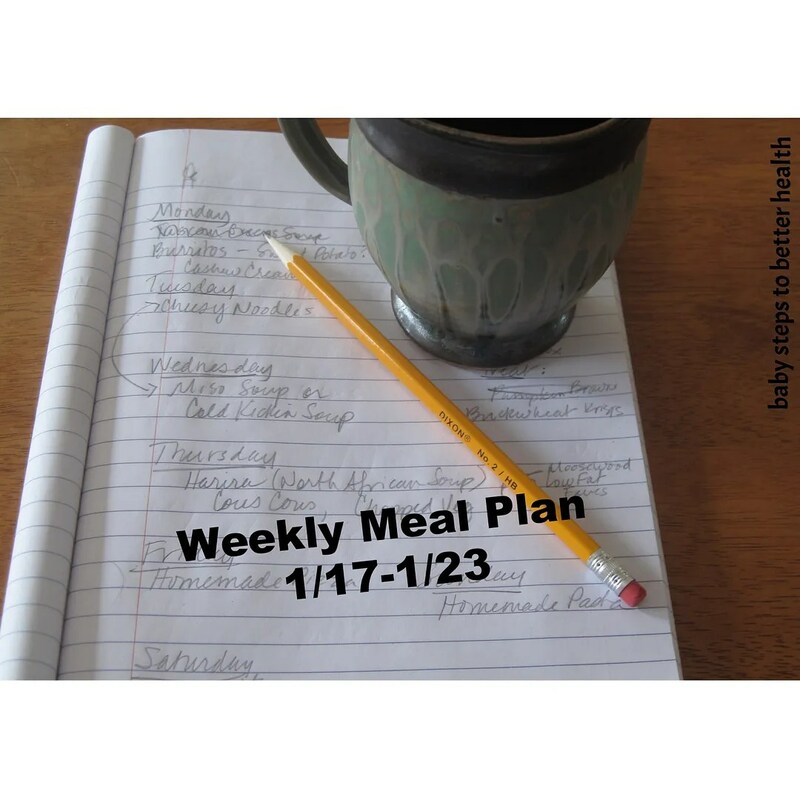 This week is full of warming comfort food, so if you’re somewhere where it is NOT 70 degrees like it is here right now, this meal plan is a good one for you. This meal plan is full of quick and easy dishes. This post also reveals the early days of my kitchen cabinet refinishing project. Guess what I just finished TODAY, eight months later. HOW, how, how, you may ask did I take that long? Folks in other areas may not be familiar with the armpit that is summer in the mid-Atlantic. Hot and humid do not good finish drying make. So I did the tops in Spring, took a break for summer, and did the bottoms this fall. If you’ve got a kitchen project going, this plan will help you get the food done quickly and easily even amongst disarray. Just made this dish last week and loved it loved it loved it again. Apparently you all enjoyed it too. Warm and hearty, full of vegetable-y goodness and there’s breading on top. Really, what’s not to love? Mr. Little Sis and I have a long standing love affair with pot pies and this dish really scratches that itch in such a wonderful way. Give it a try. I bet you’ll love it too. Bigg Sis gives a really enticing review of the fabulous Angela Liddon’s Mocha Pudding Cake recipe. This one is a true winner, regardless of whether or not you eat gluten, milk, or any of the other things that are NOT in this cake. Bigg Sis and I really do like our sweets, and we like them best just about like this. Thank you Angela Liddon. Chocolate cake fans, look no further. A meal plan from a glorious time when Bigg Sis was visiting, which she can do a WHOLE lot more now!! 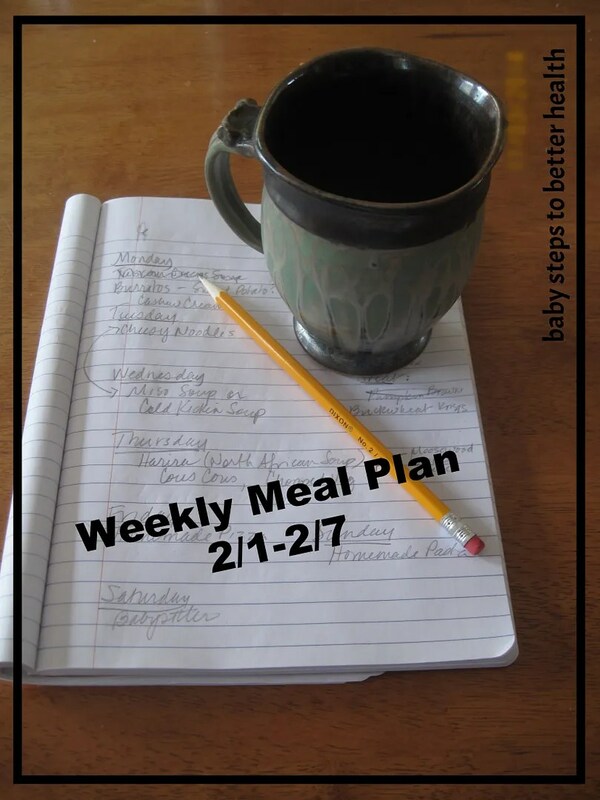 This is a standard meal plan in the sense that it mixes things that adults like with foods approved by Miss Picky Pants. A St. Patrick’s Day nod and moving on. 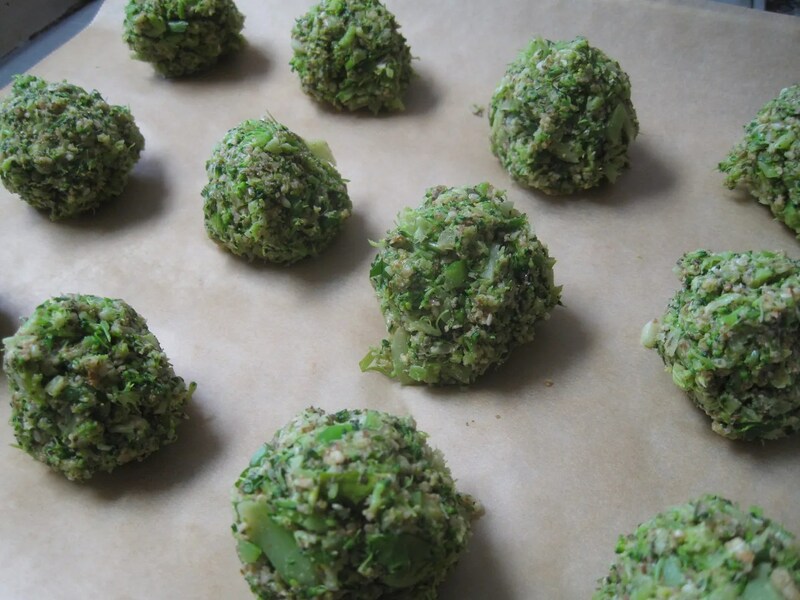 #3 Broccoli Meatballs. Really? Yes, Really. I admit that it takes a special kind of person to be intrigued by the words “broccoli meatballs.” Can I just tell you that I am delighted that I am not the only person who is special in this particular way? I have always been a broccoli fan, which I suspect is indicative of everything that is strange about me. These particular brassicas are the under appreciated hero of the vegetable world. Give them a try, especially if you’re a broccoli fan. Maybe it was the favorite because it was early in the year, New Year’s Resolutions and all. Don’t misunderstand me, it’s a nice plan. Truthfully, they’re all nice plans, especially when you get to 5 pm and you realize you already sorted all that crap out and now all you have to do is cook it. I am ever so grateful to your attention to these posts so that I can continue to have this moment. So there it is, the big wrap up. It’s hard to believe yet another new year will soon be upon us. If you’re a resolutions person, here’s hoping at least one of those is to eat well and be well friends. We’ve been having a little chat about the dark side of the holidays (yes, blatant and completely unsponsored Star Wars reference) and have covered a WHOLE lot of territory – expectations, history, but there is one last bit. One last eensy, teensy bit. What’s left? Fear. Ugh. Fear. Fear of being judged. Fear of being inadequate. Fear of having changed too much or not having changed enough. Fear of not measuring up. Fear of not being appreciated or wanted. Fear that the whole day won’t be good. I have a couple of thoughts about this whole fear thing, specifically in relation to the holiday gathering scene. Most of those thoughts can be summed up with a very just pre-adolescent retort: “So what?” So what if someone judges us? So what? It doesn’t matter if they’re right or wrong. It’s theirs. That judgment is theirs. Let them stew in it, right there with those stewed tomatoes (no I’m not serving them as they are a part of the food nostalgia that I did not care for). SO many of the rest of these fears are all about paying a lot more attention to what’s going on in someone else’s head and heart than what’s in your own. So what if they think that? So what? Let them think whatever they want and you go back to thinking what you think – you remember all that jazz about setting realistic expectations and trusting others to do the same. Think that thought. Think the thought that you WOULD be thinking if you weren’t so afraid of messing it all up. How about this thought: what if it turned out that being you was absolutely perfectly enough? Sit with that for just a minute. You are enough. How would the day be different if you believed you are enough? How much easier would it be to let go of the expectations, let go of the history, and let go of your fear if you just thought you are enough. What kind of holiday are you ready to have now? Is it possible to redefine it? To reshape it? To potentially even experience it as a holiday – a break – a respite. A nice deep breath in the middle of the dark part of the year. No expectations, no history, no fear. Just a respite. For you too, because yes you do deserve it you amazing thing. Go be you. Go rock that holiday.